Advocacy through experience and love. 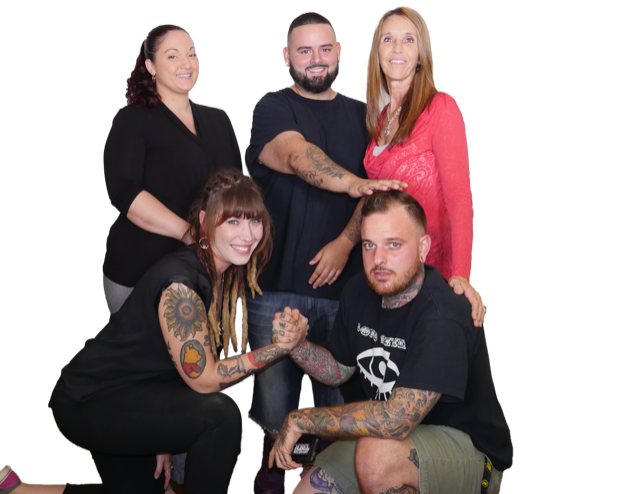 Rebel Recovery’s Peer Support staff. Recovery is about connection. As we grow in our connection to each other and to the world at large, we begin to move in a positive direction. SAMSHA defines recovery as, "A process of change through which individuals improve their health and wellness, live a self-directed life, and strive to reach their full potential." Peer Support is aimed at guiding people in or seeking recovery through this process of change towards an increased quality of life. Certified Recovery Peer Supports are individuals with lived experience in recovery, certified through the state to provide non-professional recovery support services. Certified Recovery Peer Supports work with participants to identify and remove barriers to achieving personal recovery goals, as well as empower engagement in a recovery oriented system of care. Peers often advocate for participants to ensure providers adhere to the fidelity of recovery services. Peers work to engage participants in social connection. As peers are not clinical or professional in nature, there is no lop sided power dynamic to overcome. We are equal as individuals who live with Substance Use Disorder. We move towards building trusting relationships that promote participant autonomy. We look to participants to inform and engage in the process of their recovery, teaching tools to acquire long term recovery. Rebel Recovery Florida is a low barrier Recovery Community Organization. We provide Recovery Support Services, Harm Reduction Services, and Educational Trainings for and in support of people who use drugs and those in or seeking recovery.